From the time a toddler first learns to balance, the brain automatically puts together all the elements needed to maintain that balance. Better and faster than any computer, the brain takes information from all parts of the body, analyzes each of the thousands (if not millions) of bits of information, develops a plan and sends the message back to execute the plan by all the appropriate body parts to keep us on our feet. Think of what it must take to keep you from actually falling when you trip, much less for the gymnast to perfectly “stick” a landing after a double flip with a twist over a pommel horse! As a young person, generally our muscles are more pliable, our joints less creaky and squeaky, our posture more upright. We walk and run confidently with our heads turned, arms and legs moving, even backwards … often while doing something else quite complex such as kicking or dribbling a ball while an opponent challenges our every move. Then life happens…. You take a bad fall off a bike and your knee is badly hurt. Your job requires repetitive motion and your shoulder becomes painful. Renovating the basement results in a back injury and you change how you walk. Then arthritis sets in. Or you have a surgery or a prolonged illness. Last check-up, the doctor says you’re spine is changing because you’re two inches shorter than you were five years ago. Then your leg buckles at the bottom of the stairs and you are so thankful it was at the bottom, not the top. But it scared you. You could have fallen and been badly hurt! And that fear of falling makes you more careful. First you modify or give up activities you used to enjoy. Then you start substituting more sedentary activities. Then maybe you start touching the wall or furniture when you walk…just to feel more sure on your feet. Maybe you start carrying a cane or holding on to a spouse or child’s arm. Now you stop before you turn around when someone calls your name instead of just turning your head to see who wants you. With all these little changes to your movement patterns, your brain forgets a little more about what is used to do automatically. Now, granted, the information from arthritic joints is not as reliable as from those smooth, young joints. Swollen feet with poor sensation don’t give much useful information. Posture is less perfect so the brain’s perception of upright has changed. And there’s all that new information from hands touching the walls and furniture or a cane or walker that actually makes the brain lazy…all that extra support requires less effort to balance. So your brain starts to rely on other input and information for balance, from the quick, reflexive sources to the slower, less efficient sources. Balance becomes a more conscious activity. But the motor program is still there! The brain can often tap back into those motor programs if you challenge it to do so …in a safe environment, of course. The brain uses information from your feet (somato-sensory), your eyes (vision or oculo-motor) and your inner ear (vestibular system for balance, not for hearing) and integrates these inputs to formulate a plan which is then executed through your musculo-skeletal system to keep you balanced. Some of these sources of input change with age and disease processes and cannot be returned to “normal”. For example, if you have diabetic neuropathy resulting in decreased sensation on the bottom of your feet, you will not likely improve your sensation dramatically. But we may be able to retrain the brain to use what information is available and/or to rely more heavily on one of the other systems because the somato-sensory system is not reliable. Or you may be able to develop a new substitute habit to decrease your risk of falling. For example, if you see poorly in the dark, turning on a light may greatly decrease your risk of falling. Mederi Caretenders Home Health knows the best plan to keep you healthy is to PREVENT a fall. For that reason, our standard of care for EVERY senior includes the assessment and rehabilitation of all the systems that contribute to balance. Under the umbrella of Optimum Balance, our clinicians help seniors maximize their ability to tap into those old balance motor programs they learned as toddlers, perfected as children and teens and used throughout their lives as adults. The goal is to strengthen those systems that contribute to balance (the somato-sensory, oculo-motor and vestibular) as much as possible while maximizing the physical ability of the body to accomplish the “plan” the brain develops to maintain balance through strengthening, flexibility and range of motion. If you are a senior at risk — if you are fearful of falling, have fallen or have some condition that has impacted your balance – we may be able to help! If you are wondering if you qualify for our program under your Medicare benefits, please contact Lori Key at Mederi Caretenders Home Health – 618.792.6547. Thank you to our Guest Bloggers from Mederi! The desire of older adults to continue living in their current homes is not uncommon, but sometimes it poses challenges for caregivers and seniors themselves. Fortunately, a friend told Emma about the Eldercare Locator, a nationwide directory assistance service for aging Americans and caregivers administered by the U.S. Department of Health and Human Services’ Administration on Aging (AoA). Emma called the Eldercare Locator’s toll-free number and was greeted by a kind, caring information specialist. The specialist listened, asked questions, and transferred Emma directly to the local agency servicing her mother’s community. With the agency’s assistance, Emma was able to arrange transportation to doctors’ appointments, help with household chores, and even an occasional social visit to ensure that everything was okay in Dot’s home. Thanks to the Eldercare Locator, everybody is happy. Dorothy and Emma can both rest better. Andrew, an ardent devotee of the Eldercare Locator whose father lives across the country, agrees. “My father was having a problem with balance and I was worried about him having an accident,” he explains. “In just one call, I was able to find a home modification program that installed assistive devices throughout his home. Now, the Eldercare Locator is the first place I go to take care of all my father’s needs.” Knowing what senior services exist and how to use them is the first step in helping older Americans live out their golden years with independence and respect. Let the Eldercare Locator connect you to the timely and accurate information you need. The Eldercare Locator service can be accessed toll-free Monday through Friday, between 9:00 a.m. and 8:00 p.m. EST, by calling 1–800–677–1116. An on-line version is also available at www.eldercare.gov. The Metro East region of Illinois has experienced record breaking low temperatures. We are not use to this. Winter temperatures in the St. Louis Region range from an average high of 40 degrees and average low of 24 degrees. When the temperature and wind chill drop below zero it seems that many residents are caught off guard. These frigid temperatures are especially dangerous for the very old. 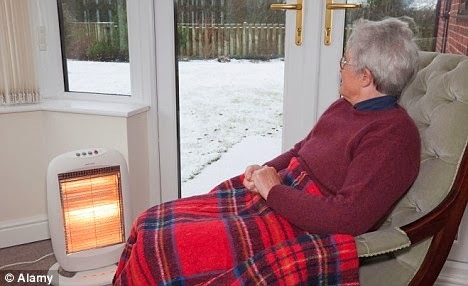 Older people lose body heat faster. That is why it is critical that we are checking on our elderly relatives and neighbors. · Elders should keep their homes at 68 degrees and above. Even a slightly colder home can lead to hypothermia. · When inside, elders should wear long underwear under clothes and also wear socks and slippers. · When outside hats, scarves, gloves, mittens and layers of loose clothing are a must. Frostbite can happen in a matter of minutes. · It important to check with your doctor to determine if any medications being taken can cause hypothermia. As financial exploitation targeting older adults continues to become more prevalent in the United States, the Area Agency on Aging of Southwestern Illinois joined a nationwide campaign to encourage older adults and their families to address the issue and to get informed about the warning signs and resources available to help prevent abuse. Research shows that as many as 5 million older adults are victims of elder abuse each year and financial exploitation costs seniors an estimated $3 billion annually. The Area Agency on Aging is encouraging older adults, caregivers and their families to use their time together this holiday season to discuss and get informed about strategies to prevent financial exploitation by encouraging families to take steps to prevent financial exploitation this holiday season. The holiday season is an ideal time for families to get together and discuss issues with their older family members. The Area Agency on Aging strongly encourages all families to take some time to learn about the warning signs so that they can ask the right questions and take the right precautions to ensure that the finances of older adult family members are safe. 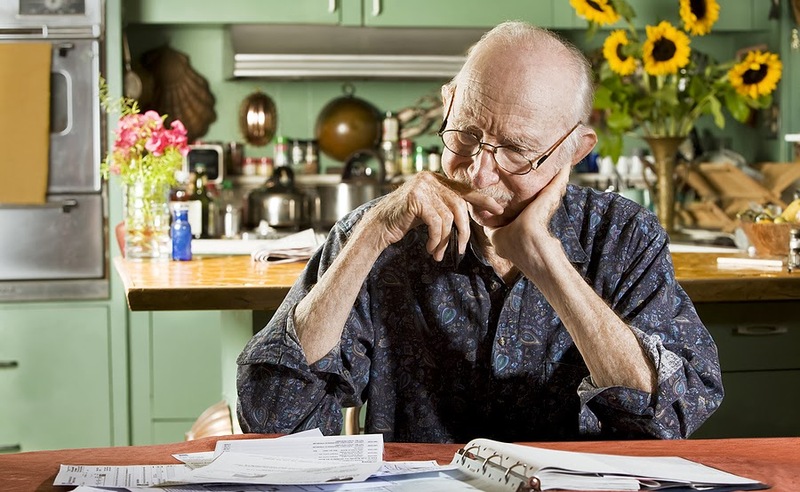 There are several signs of financial exploitation for families to look out for, including financial activity that is inconsistent with an older adults past financial history; confusion about recent financial arrangements; changes to key documents that have not been authorized; a caregiver or beneficiary who refuses to use designated funds for necessary care and treatment of an older adult; and an older adult who feels threatened by a caregiver or another individual who is seeking to control their finances. · Get an estate plan in place. Talk with an attorney about creating a durable power of attorney for asset management; a living will; a revocable, or living, trust; and health care advance directives. · Learn how to avoid fraud and scams at www.stopfraud.gov/protect.html. · Consult with a trusted person before making any large purchases or investments. · Do not provide personal information (i.e. Social Security number, credit card, ATM PIN number) over the phone unless you placed the call and know with whom you are speaking. If you hire someone to help you in your home, ensure that they have been properly screened with criminal background checks completed. Ask for certifications when appropriate. “How can we help you?” Is the most common phrase said at the Area Agency on Aging of Southwestern Illinois. Life can be complicated and when changes occur due to health, family dynamics, finances, etc., help is needed to make good decisions. The Area Agency on Aging can help older persons and their caregivers by providing answers on Aging. The Area Agency on Aging is an independent not-for-profit organization that exists solely for the benefit of older persons and caregivers. Empowering persons 60 and older and their caregivers to live safely in respectful and choice-filled communities allowing productive, secure and self fulfilled lives is the Agency’s focus. Envisioning a world in which aging is positive is the vision of the Agency. No matter where you live, help is close by. The Area Agency on Aging is part of a network of 650+ Area Agencies throughout the nation. Every county in America has an Area Agency on Aging that can be located through the eldercare locator at www.eldercarelocator.gov or by calling 1-800-677-1116. Health care fraud, waste, and abuse cost American taxpayers nearly $60 billion each year. Medicare and Medicaid consumers are an essential element in national fraud fighting efforts. Consumers are best positioned to detect and report abuse and the Senior Medicare Patrol (SMP) aims to empower them to do so through education and advocacy. The Area Agency on Aging hosts the regional SMP to help with this effort in Southern Illinois. The goal of the SMP Program is to train seniors to recognize and report fraud. One might wonder if fraud happens locally. It does happen. Recently, a local provider was sentenced to prison for fraudulent billing and money laundering and was sentenced to five years and 10 months in federal prison and three years’ probation after pleading guilty to 14 counts of health care fraud and one count of money laundering. The provider admitted to keeping almost no records and creating fake documents to bill 14 companies or health insurance funds more than $2 million since 2006. This provider must pay the money back and forfeit more than $900,000 in cash and property, two minivans and a BMW. This is just one incident. Imagine the taxpayer dollars that that can be saved by eliminating all cases of fraud. The Affordable Care Act of 2010 provides a number of new tools and resources to prevent fraud and strengthen Medicare. The law improves analysis of health care claims data to flag potential scams, strengthens the screening process for health care providers that wish to participate in Medicare and Medicaid, and provides increased penalties for those committing fraud. These new fraud-fighting tools will help the government identify false claims faster, prosecute health care fraud more effectively, and help prevent fraud from occurring in the first place. If you suspect fraud contact the Area Agency on Aging at 1-800-326-3221. He came in walking stiff-legged, a thin little man with cloudy blue eyes devoid of lashes. His face was age-spotted, his hair white and thin. My last session had finished early. I heard someone say, “Let me see who can help you” and stuck my head around the corner. I asked him what had happened. He began to tell me story I’d heard too many times before. I carefully asked him questions to get a fuller picture of what had occurred. Did she call you first and schedule an appointment? The law requires salespeople do this – they may NOT just show up on your doorstep. “Yes,” he admitted, “a lady called and said they’d have someone in my neighborhood.” He rolled his eyes, realizing this was likely a ruse. Mr. G. smiled and nodded. We both thought he had signed up for a Medicare Advantage Plan that his doctors did not accept. On examination, we discovered the plan was a type of supplement that was unnecessary, costly and ineffective. I ran a plan-finder for him and we signed him up with the same company he had before, but a plan that actually cost him less and covered his medicines better. · They may not come to your home uninvited or without an advance appointment. · They may not approach prospective clients in parking lots, hallways or lobbies. · They may not offer gifts worth more than $15 to join their plan. · They may not provide meals at sales presentations. · They may not try to sell you a plan at educational events. Mr. G. was lucky. The staff at the local branch of the Social Security Administration knew just where to send him. By the time he left, he had accomplished more than he realized. Not only was his situation resolved, but the agent who had sold him the unnecessary plan was now on our radar. We’ll be watching, and taking notes. For more information on fraud click here. to find out more about the Area Agency on Aging click here.